For the Best Price and Technical Advice! Red Star Paint has been a Montclair institution at 420 Bloomfield Avenue for over 45 years. It was in 1995 that Rich and John DiGeronimo, both house painters at the time, became owners of Red Star. 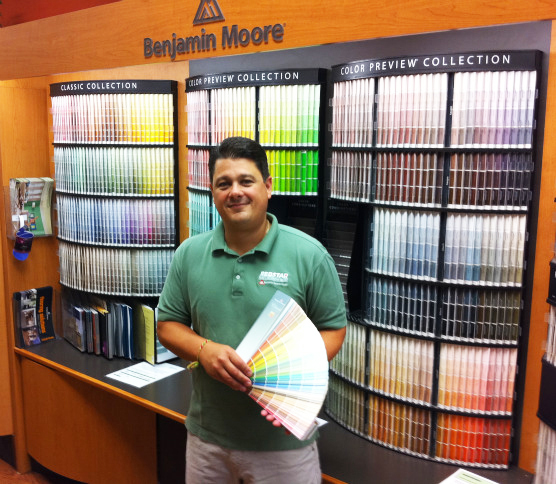 Since then, with the addition of Hunter Douglas Window Treatment products, Red Star Paint and Decorating was born and the same Bloomfield location has been the leading supplier of Hunter Douglas and Benjamin Moore paint products in the Montclair area for the past two decades. Critical to their success has been the unwavering commitment to service. Whether it’s a painting task, a design question, or help with the best window treatment for a room, Rich and staff are there with samples, videos, booklets and experience to provide the direction a customer needs to make an informed choice.